This exquisite white Freshwater cultured pearl necklace features AAA quality pearls, hand picked for their incredible luster and overtones. The strand is affixed with a 925 sterling silver clasp and strung to an 18" length. Our products come packaged in a beautiful jewelry box perfect for gifting. This beautiful White Akoya pearl necklace consists of all beautiful and lustrous pearls in AAA quality. All pearls in this necklace are perfectly round and are strung with silk thread and double-knotted between each pearl. This necklace comes standard with a beautiful 14K gold clasp, with the choice of either white or yellow gold. 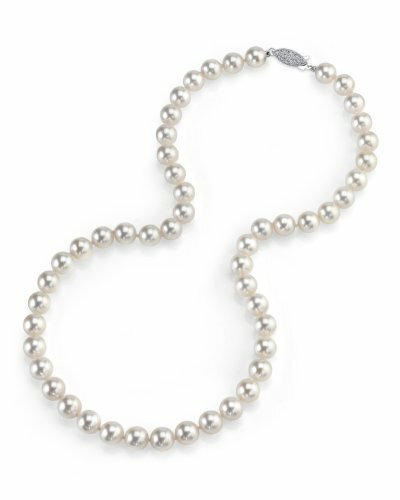 This necklace is available in multiple pearl sizes, and Additional necklace lengths may be selected above to create the perfect piece of pearl jewelry. All of our pearl products are shipped in an elegant jewelry box that truly makes a remarkable presentation. 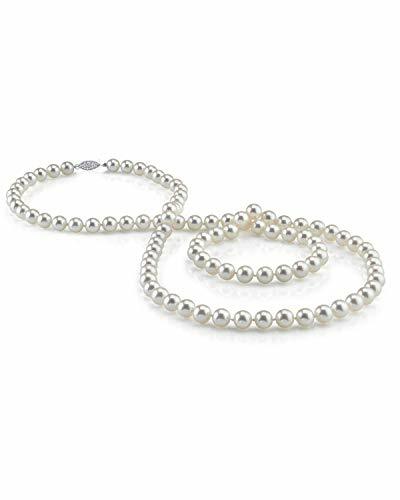 Known as the "icon" of cultured pearls, Akoya pearls have graced the necks, ears, fingers, and wrists of women for decades. The Akoya pearls from the salt waters of Japan are grown in the Pinctada fucata oyster. All of our Akoya pearl necklaces are made on site, and our extensive experience and careful attention to detail allows us to create truly beautiful Akoya pearl necklaces. This beautiful pearl pendant would be the perfect gift for any occasion. 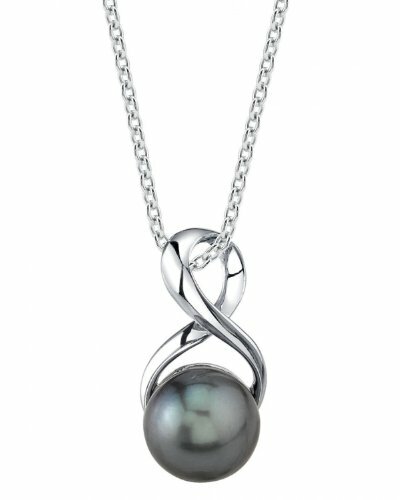 The pendant features a AAA Quality, 9mm Freshwater pearl, hand picked for its gorgeous luster and overtones. The pearl is mounted in sterling silver and suspened on a 17 inch sterling silver chain. All products come packaged in a beautiful jewelry box with a genuine cultured pearl guarantee. This beautiful pearl pendant would be the perfect gift for any occasion. 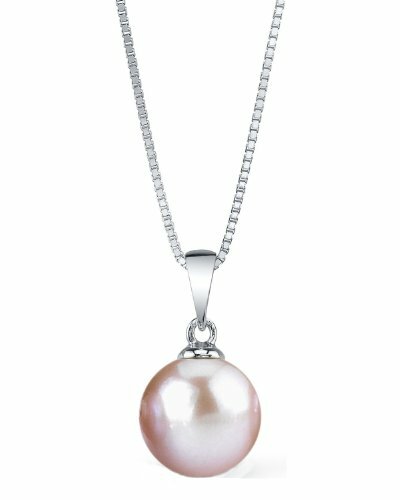 The pendant features a AAA Quality, 8mm Pink Freshwater pearl, mounted on the highest quality 925 sterling silver and comes with a 17 inch sterling silver chain. All products come packaged in a beautiful jewelry box with a genuine cultured pearl guarantee. This beautiful pearl pendant would be the perfect gift for any occasion. 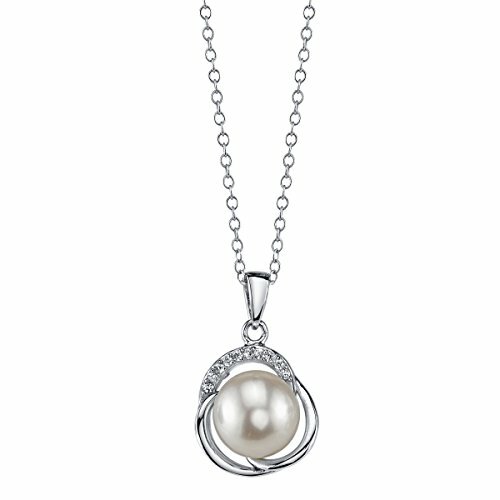 The pendant features a AAA Quality, 9mm White Freshwater pearl, hand-picked for it's gorgeous luster and overtones. The pearl is set with dazzling crystals on a sterling silver mounting. The pendant is suspended on a 17 inch sterling silver chain and affixed with a lobster clasp. This product comes packaged in a beautiful jewelry box with an official genuine cultured pearl guarantee. 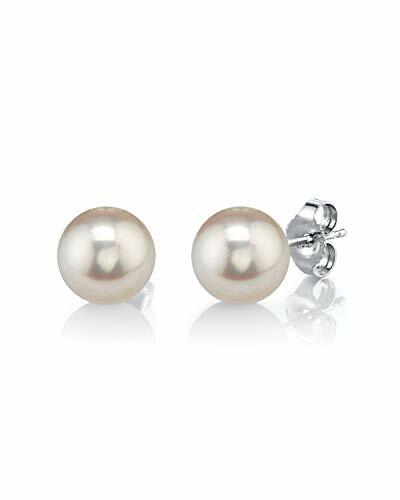 These exquisite pearl stud earrings feature two lustrous AAAA quality white Freshwater cultured pearls hand picked directly from the pearl farms of China. The pearls are mounted on the finest 14K gold backings in your choice of white or yellow gold. Our items come packaged in a beautiful jewelry box, perfect for gifting. Buyer Guide: Choose your length and color from menu. The size picture attached up for your reference. Measurement Tip: Tie a string around your neck at the length and looseness you want of necklace, then measure the string in inches. When you measure is from tip to tip, please take into account that it will be a tad shorter when you fasten it. 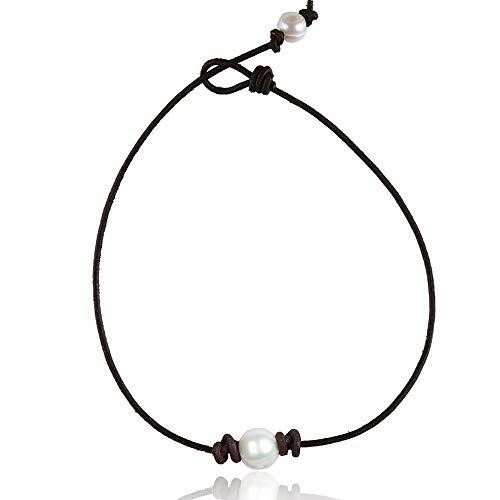 Production Method: Pearls are double-knotted on round leather cord, a pearl and loop is used for closure. (Our shop have multi color of leather and pearl can be choose, welcome to go into our shop for more choose). Brand Design: Barch design studio make designS for CLOTH BAG and HANDMADE JEWELRY. "Women Earring Studs Metal Type: Sterling Silver Pearl Quality: AAA Pearl Type: Freshwater Cultured Pearl Pearl Size: 7mm Pearl Color: White Pearl Shape: Button Product Weight: 1.3 Grams Come with Elegant Gift box 100% Money Back Guarantee: Please message us if you have any questions with our products after you receive it. It is a 100% Money Back Guarantee with no reason. Shipping: We always follow Amazon shipping requirement date to ship your product out. Please note that delivery times for USPS First Class and USPS Priority Shipping are only estimates and may take longer, particularly during peak season. If you do not receive your product during the usps estimated time, please message to us right away before you open a A to Z claim. We will try our best to assist you. " This 9-10mm Tahitian South Sea pearl pendant is made of high quality sterling silver and exhibits a gorgeous AA+ quality pearl with exceptional luster (please see our pearl grading section for more information). All Tahitian South Sea pearls are imported directly from the lagoons of Tahiti, where only the highest quality pearls are produced and harvested. 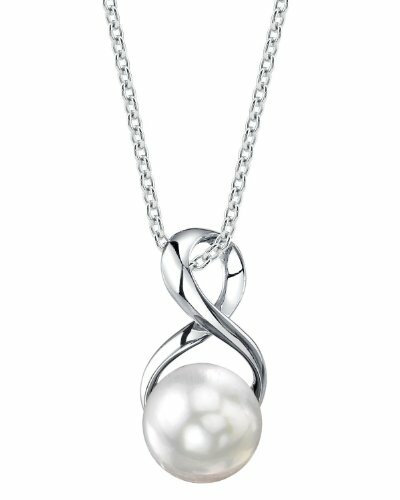 The pearl pendant includes a sterling silver chain and comes in a beautiful jewelry gift box. Please view the options below to customize your pearl pendant. 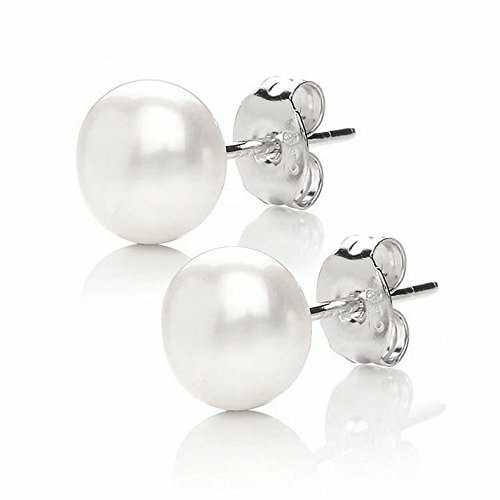 Looking for more Genuine Real Pearl similar ideas? Try to explore these searches: Sideshow Fabric, Washington Capitals Caps, and Boston Baked Candy. Look at latest related video about Genuine Real Pearl. Shopwizion.com is the smartest way for online shopping: compare prices of leading online shops for best deals around the web. Don't miss TOP Genuine Real Pearl deals, updated daily.